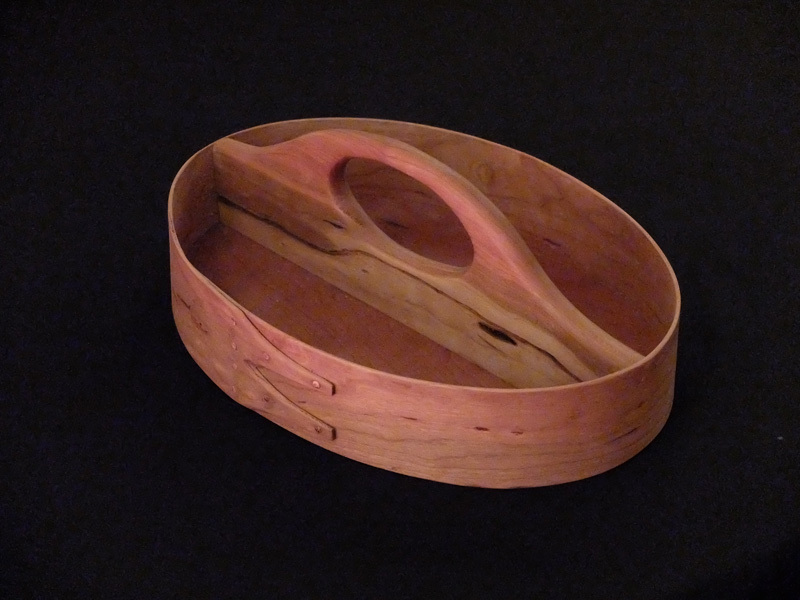 We make a these beautiful Divided Carriers styled after the traditional Shaker Oval Boxes, in Native Cherry Wood, or Birdseye Maple and Cherry in combination. These oval caddies are all individually steam bent and completely hand made in our workshop here at Rockledge Farm, this Carrier is definitely our most popular item of all the Oval Ware pieces we make. Measures about 13” long, 9” wide, with the top of the handle 4 1/2” tall.